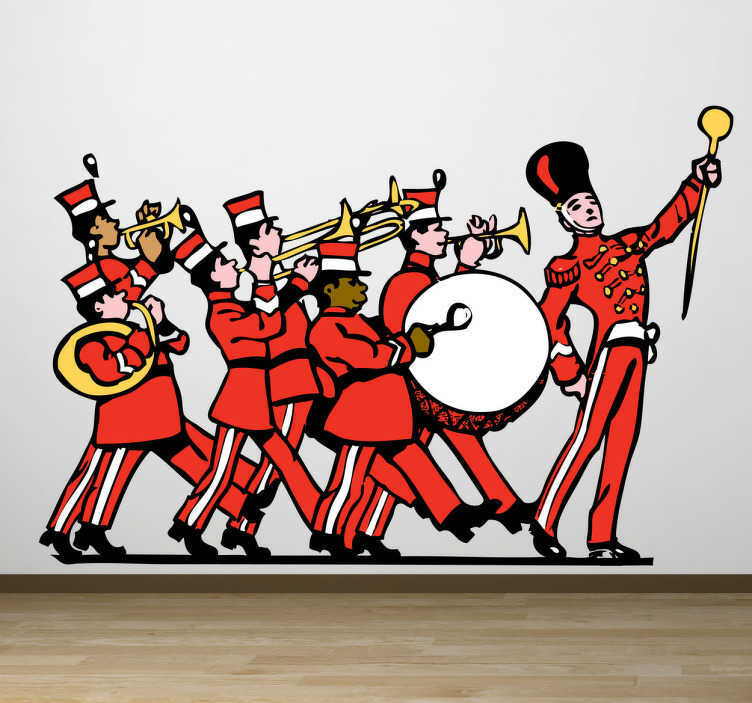 This wall sticker of an already playing marching band is ideal for environments with children. With childlike shapes and bright colors which creates a cozy atmosphere. Does your child like marching bands? Then this vinyl decal is perfect to decorate the walls of your child's room.